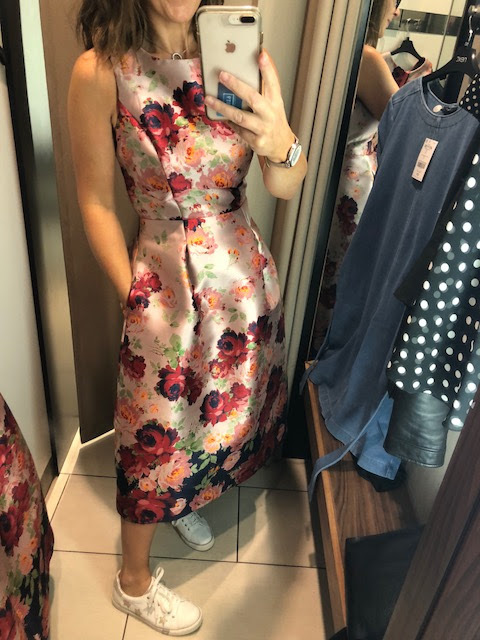 Just popping up the pictures from a very fast dress (and one jacket) try-on in Next this morning. I usually put all of these up on Instagram but by request, I'm going to try to duplicate them on here as I know lots of you aren't over on the grid. 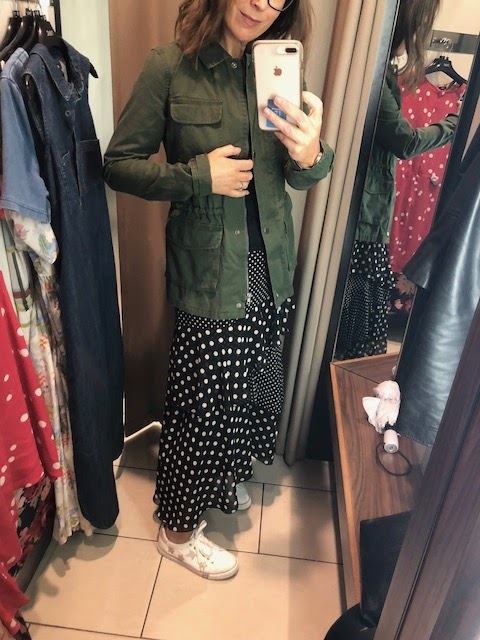 Starting with a khaki jacket - one of the things I get asked about all the time and this one is a really lovely colour and quality. I'd not wear with my outfit today...but you get the gist! 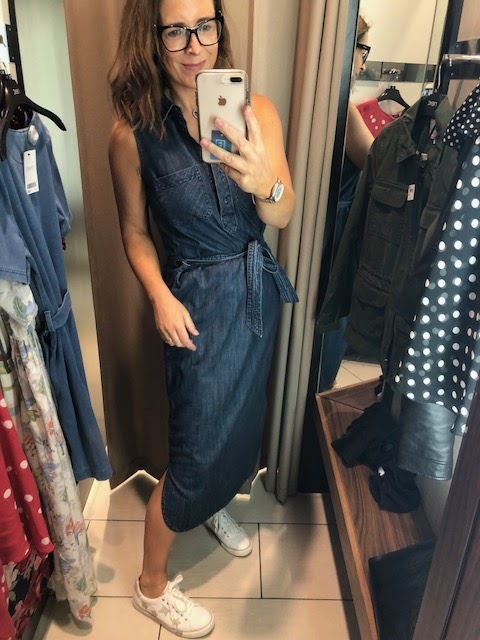 Next up and if you're looking a denim dress - look no further. This is AMAZING! Unfortunately, it's not available online yet. I'll keep an eye out and add the link when I can. Yes because I bought this shorter one as I'm trying to get the legs out a bit more. This is a different denim material. Stretchier, and it has pockets. A great dress that you can just pull on over leggings or with bare legs. For £28! 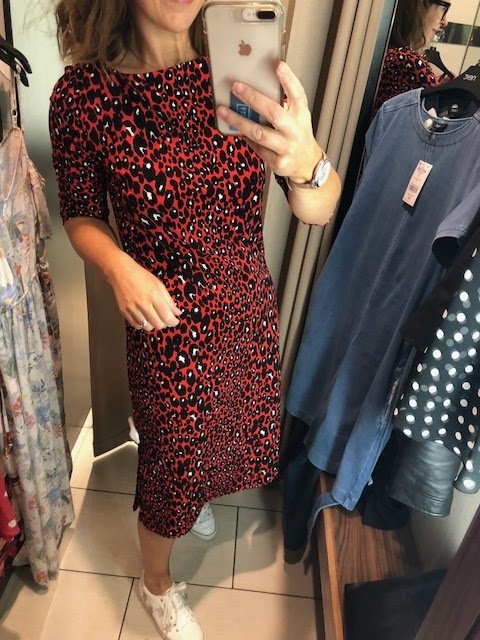 Next up this leopard print dress is fab though it comes up big (actually most of what I tried on, came up big). 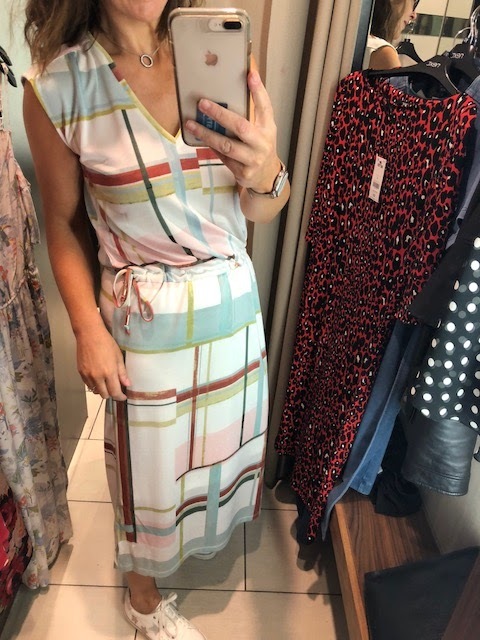 It's one of those dresses you could wear to work or dress down with trainers. What's not to love? 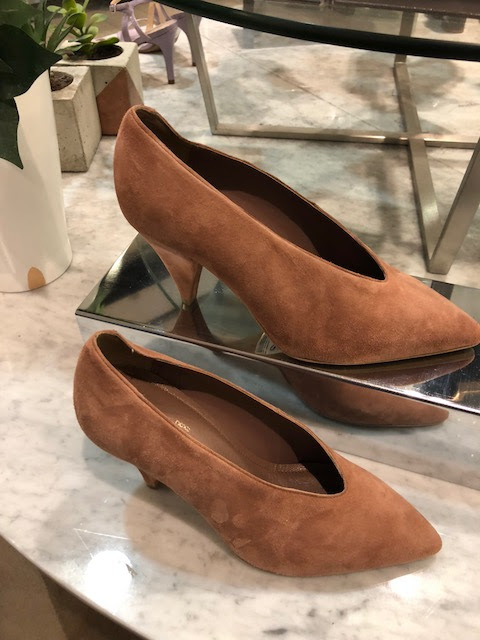 Fab colours and one that you'll take into AW18 easily with ankle boots. This next dress was also in the workwear area - it's a knitted material and is fully lined. Ties at the waist giving definition. Loved the colours on this one and it hangs really nicely on. This next one is a more casual offering - very lightweight floaty cold shoulder option. 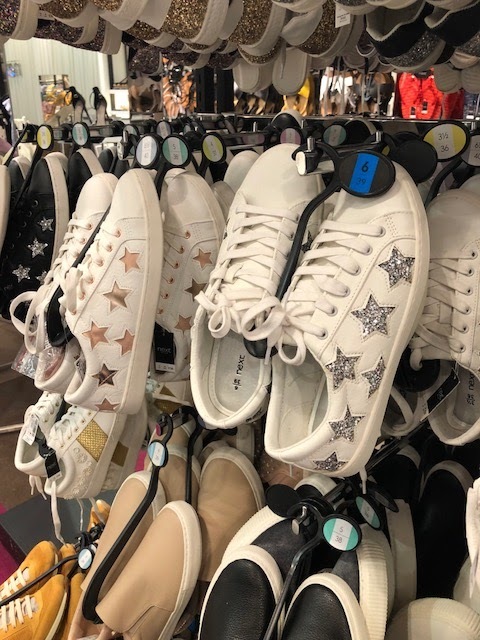 Just perfect for warmer days and again, a dress up/dress down option easily. 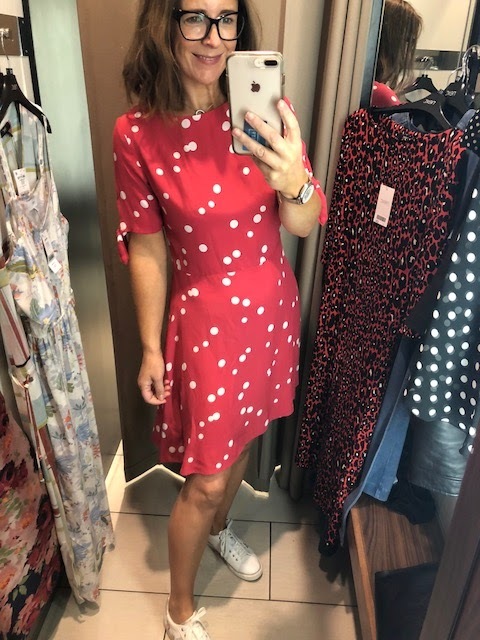 Going short again and I adored the colour of this spotty dress. so pretty with a gorgeous tie detail at the arm. It felt a bit pricy for the feel of the material and would require good firm pants underneath but isn't it fab? 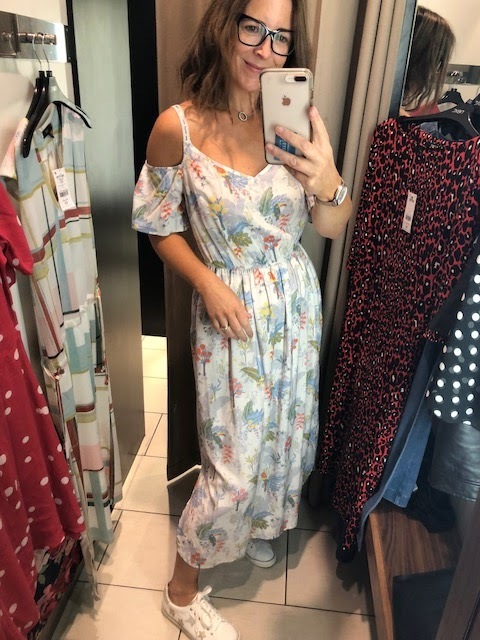 Finally, an occasion option which I tried on as I'm at a wedding in July and I don't have anything yet (though I've at least 3 options in my wardrobe I could re-wear...but where's the fun in that?). This doesn't get great reviews online - it's definitely for a taller person 5'7" and above. I tried the 10 first but it was just too big under the arms. The 8 was better though. Obviously would look way better with heels! It's a beautiful beautiful dress that looks way more expensive than it is. 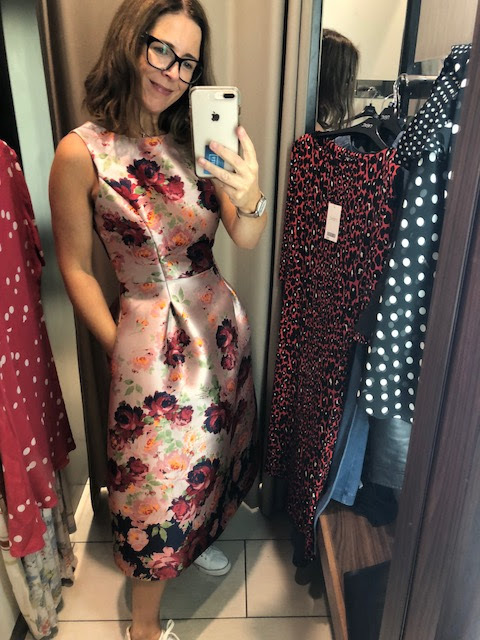 Do you think it's a risk to wear a current season Next dress to a wedding? The back was a bit daring - loved that extra detail around the zip though the gaps either side of the zip gave me the fake tan fear. The back would most definitely have to be done in its entirety! And there you go....my 30 minute speed try on....complete with trainers and more than a few funny looks from other people in the changing room. What's so wrong with talking and videoing yourself?!! Disclaimer - not a sponsored post. 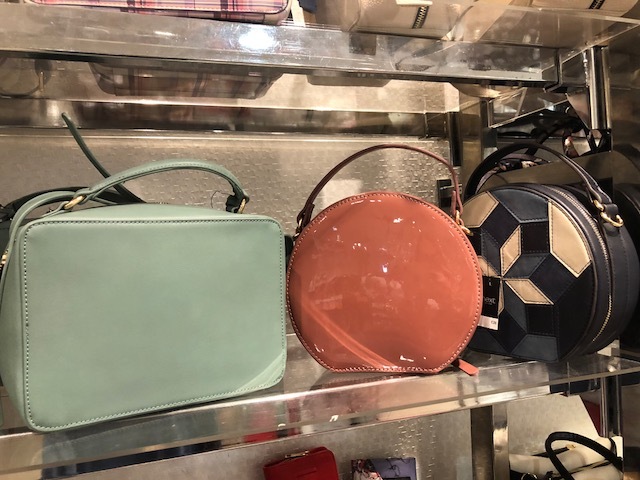 Some of my links are affiliate links so the brand knows you came to their website from here and may pay me a tiny commission if you buy and keep something. This doesn't change the price for you and the modest income I make from links covers the cost of running this blog. 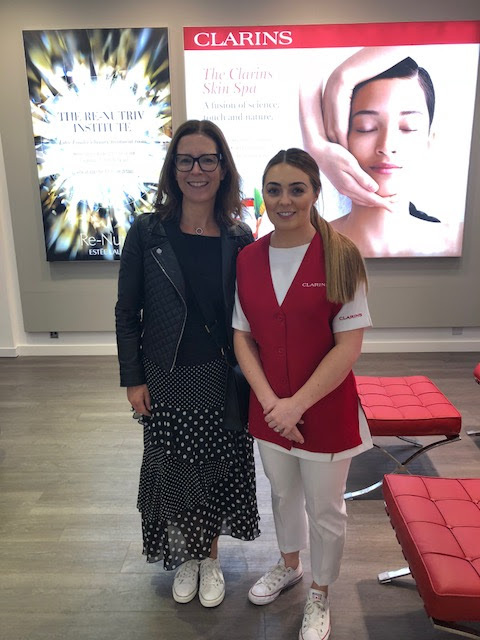 My Clarins facial was complimentary in order to raise awareness of the Clarins in-store spa facility in House of Fraser Belfast. Lovely few bits there. Will have to take a look. 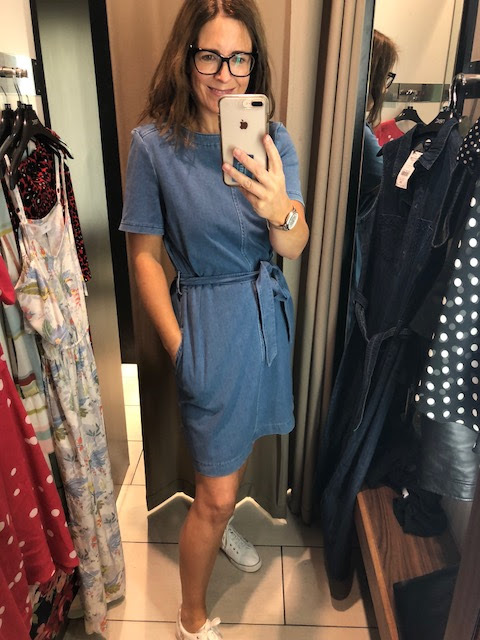 Love the longer Denim dress. I don’t suppose you remember how much it was ? Re the dress for wedding, you look amazing in it. To be honest unless you buy something from a small boutique (and even then) any dress could be worn by someone else.